Home > St_Louis,_MO,_USA > Weddings > Kayla_and_Jared's_Wedding! We had an amazingly beautiful day for our wedding in May. St. Louis weather is so unpredictable, but everything worked out. No rain, a beautiful ceremony, and a VERY happy couple. 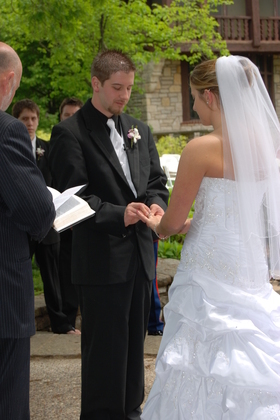 We wouldn't have changed anything about our day or the vendors we chose along the way. We wish everyone to have a wedding day like Ours. We bought do-it-yourself invitations at Target and I was able to make them look how I wanted. They have many styles to choose from and the instructions were simple. We really liked how they turned out, it was just time consuming since we did them all ourselves. Luckily, I had 2 very amazing bridesmaids and a mother in law who offered to help with them. 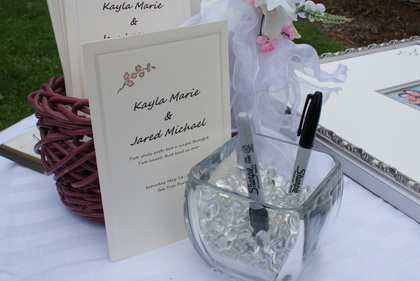 We were so satisfied with our invitations we bought our Programs from Target and did those as well. I recommend this for anyone who's trying to save some pennies on their wedding and if you have a little time on your hands to get it done. I completely fell in love with my dress in the store and I knew I didn't want to look any longer. The dress was affordable and exactly what I pictured myself in. My bridesmaids and I went back while they were having a sale and found the flower girl's dress for VERY cheap. I had to purchase a different color sash and Shaely Bugs but it was simple. 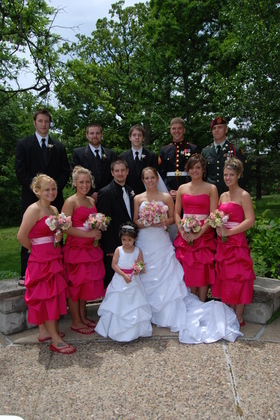 We also purchased the Bridesmaid dresses from The Bridal Shoppe. We found the dress in-store but didn't like the color. We picked out the colors we liked and ordered them. The dresses weren't exactly what we pictured but with some alterations they came together and we couldn't have been happier with them. We were so pleased with this company. We rented chairs for our outdoor ceremony from them. We were having troubles with other companies because we needed the chairs delivered in the morning and picked up about an hour after the ceremony. No other company wanted to do that without charging us more than it cost to rent the chairs. Jim at JCM worked with us and made a budget for us that we couldn't pass up. We had white wooden chairs that they delivered for us, set up, broke down, and took back with them. This is the same company that we had for our DJ. They had a great package put together and the quality of it was really good. We were very pleased with the videographer the day of the wedding. He showed up an hour before our ceremony and stayed until everyone had left the reception. The only thing we were unhappy about is the time it's taken to receive our finished video. But the company is trying to make it right for us. We ordered our wedding cake and the groom's cake through this baker. They were both so delicious and exactly what we both expected. 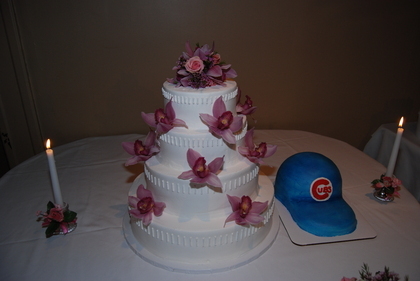 The grooms cake was made to look like a baseball hat and it was a surprise for my husband, he said it looked just like the one I bought him when we first started dating. We had such a great DJ, Sean Mazzola, from complete music. My husband and I totally left the music up to him, because we have a wide variety of taste it music. He kept the music playing and he saw what brought the people to the floor. We had the time of our lives out there dancing with our family and friends. I think my husband and I sat out only a couple dances so that we could catch our breathes, and say good-byes to people who were leaving. 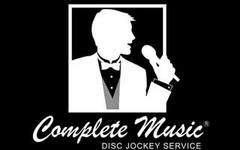 We definitely recommend Sean to anyone who's having a wedding or just an event where they need a DJ. He is fun and outgoing and loves to get out on the dance floor with you to show you the new dances he's playing. We used Flowerama on Big Bend Blvd. Amanda worked with us the best she could. 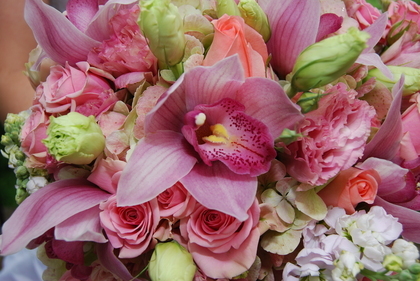 I brought in this picture of a bouquet I had fallen in love with and when she told me a lot of the flowers would be out of season and very expensive I was almost crushed. Almost. She spent some time looking for flowers that looked like the ones I had picked out, but were in season, and put together a bouquet for me that looked better than the picture I showed her. I had compliment after compliment on my bouquet and my bridesmaid bouquets all day long. We couldn't have asked for more. I am so pleased with our jewelery selection and the staff at Helzberg. My husband and I love our wedding bands. We only buy jewelery from Helzberg! Jodie Wills, the store manager at the South County location was great. 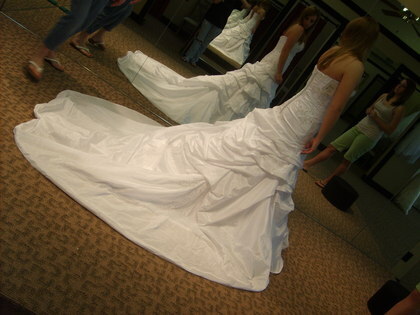 We had met with her at a Bridal show previous, but when we went in to the store everything was so easy to get done. Our father's ended up paying $50 for their tuxes, my husband only paid the $20 we gave at the bridal show, and our groomsmen tuxes were only about $100. We were very pleased with the selection. My husband went in and pointed at what he liked and they put it together for him. The men looked great the day of the wedding. We went for a simple style. The tuxes were all the same, but my husband had a black shirt and white vest while everyone else wore white shirt with black vest. They all looked great! This is a husband and Wife team who were great. Their packages are budget friendly and so are they. 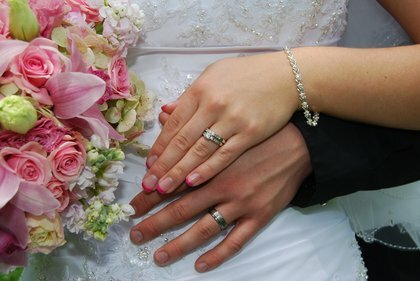 If you purchase a wedding package they include a free engagement sitting with a free 8x10 photo of your choice. With the package you order you get all of your photos on a disc with copyright release to you and they make you an album with atleast 200 pictures. We were so pleased with them. 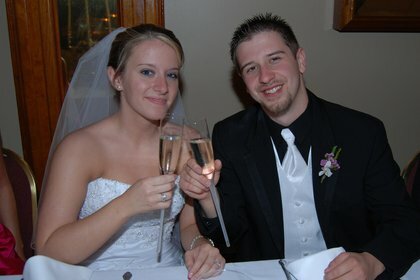 They were prompt with everything from phone calls to delivering the photos to us shortly after our wedding. 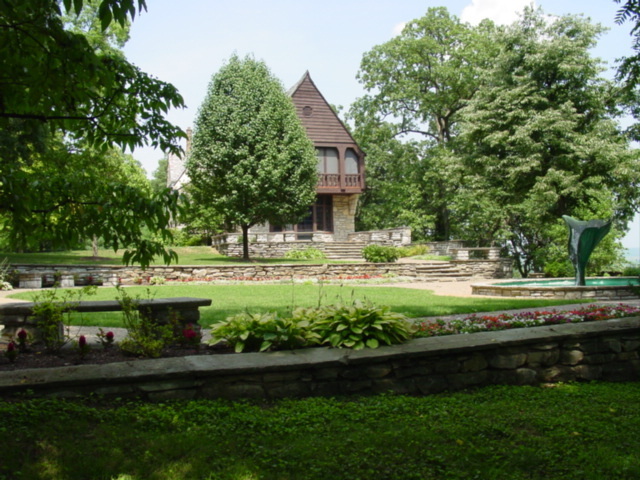 The park was so beautiful the day of our Wedding. They had already planted the flower gardens around where our Ceremony was to be held. It was affordable and the park rangers were easy to talk with and get things together for us. Greg at Andre's made our Wedding Reception amazing. He met with us twice and let us pick things we wanted. We had an early reception, which I was kind of bummed about, but when we got there and saw everything I was so happy we went with what we did. They are very affordable and they allow you to add on things you want, such as $1 more/person for china and silverwear, and they are the reason we went through Harter's Bakery because with Andre's you add on $1 more/person for your cake and then pay for the extra's you want. Our cake was beautiful and we didn't spend a fortune. 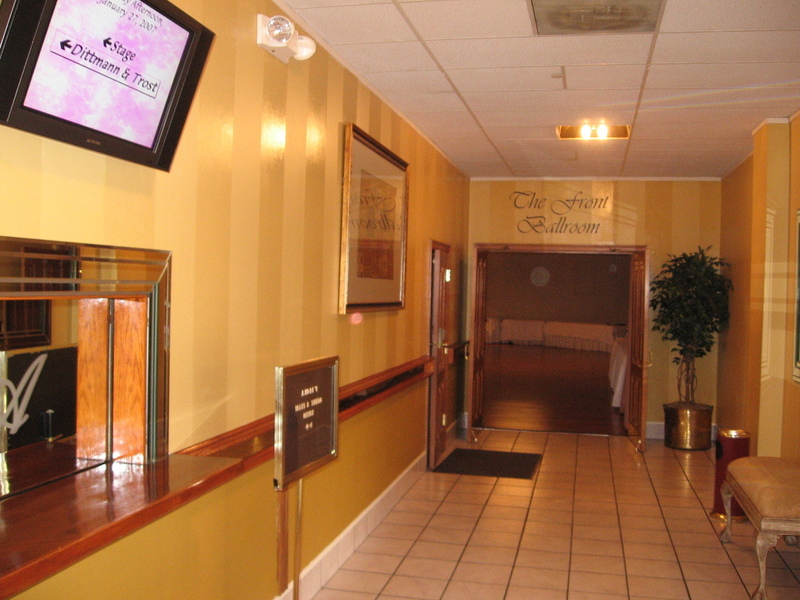 The staff was very nice and the food was amazing.